Police Ordnance Company Inc. purchased ARWEN® including the ARWEN® Trade Mark, ARWEN® Patents and all remaining ARWEN® inventory from Royal Ordnance (Weapons and Munitions) Ltd. in the spring of 2001. We now manufacture the ARWEN® Mark III Less Lethal Weapons in Canada. 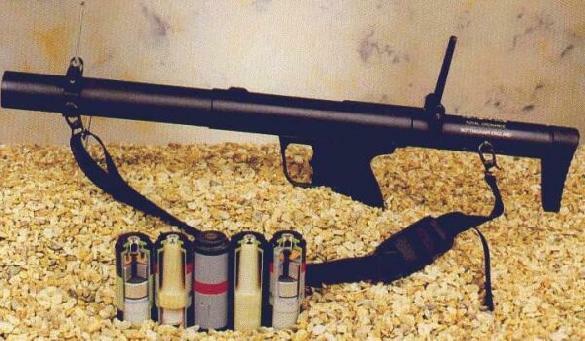 We have also enhanced the Less Lethal Munitions available for the ARWEN® Less Lethal System to 100 variants. The ARWEN family features weapons such as: ACE: The ROYAL ORDNANCE "ARWEN" ACE is a single shot, top-break barrel opening launcher which was engineered for Law Enforcement and Riot Control. Fires the 37mm air cartridge, either the "standard" 37mm or the proprietary low cost 37mm-ARWEN.